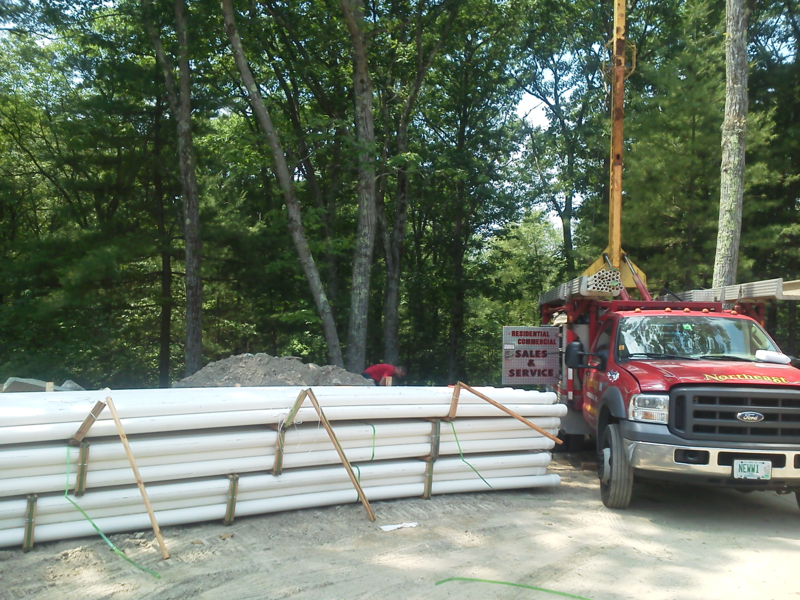 Northeast Water Wells has been working hand and hand with Geothermal HVAC Contractors for nearly 30 years. 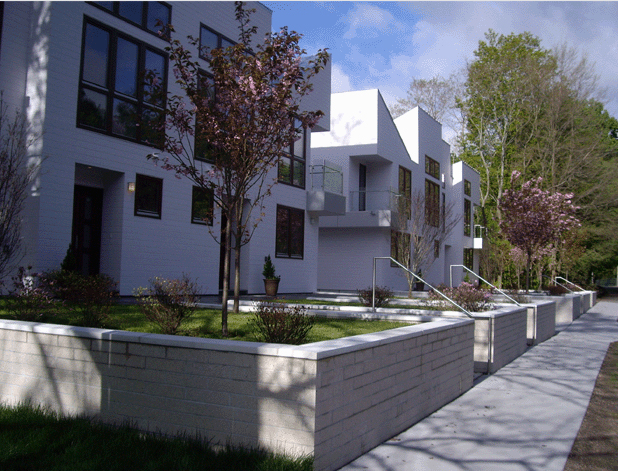 Ground Source Heat Pump Systems (GSHPS) utilize the earth’s energy & relatively constant temperature to provide not only heating but cooling and hot water for residential and commercial use. Due to the environmental impact, and rising costs of most energy sources, the government and many states are giving tax breaks and incentives to increase the amount of geothermal wells. What are my options when it comes to Ground Source Heat??? There are two types of Ground Source Heat Systems; Open loop and Closed Loop. 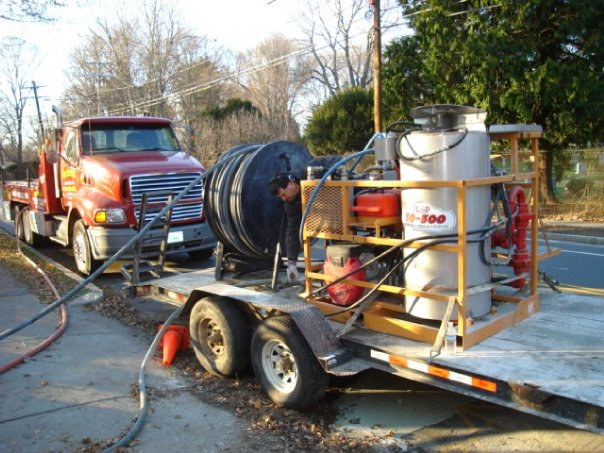 In addition there are also 3 types of installation methods: Horizontal, Vertical, and installation in a lake or pond. 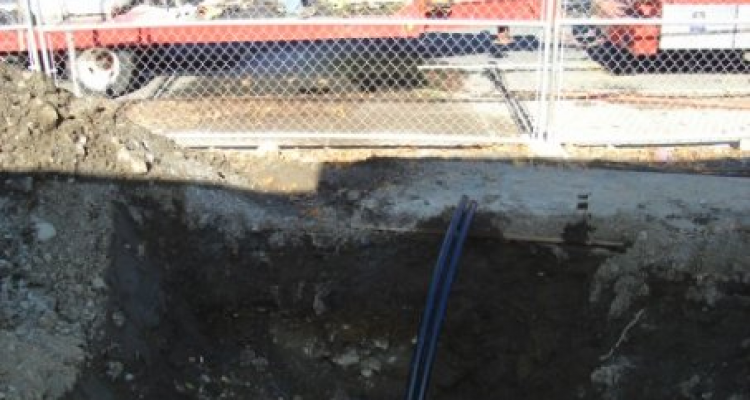 The type of system & the installation method vary depending on your lot restrictions & size, the condition of the rock & soil of the area. 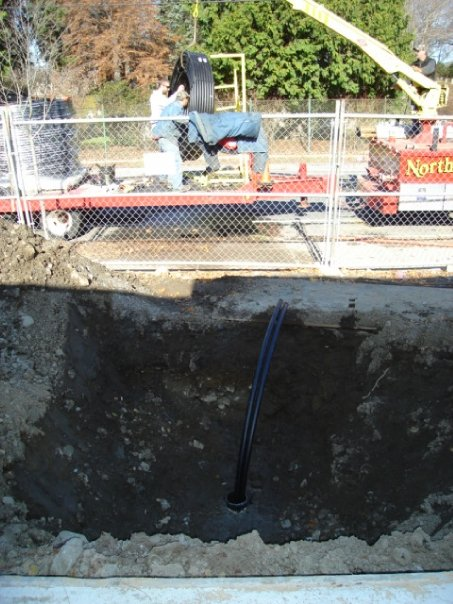 A Closed Loop System utilizes a water or antifreeze solution circulated through plastic piping buried beneath the earth’s surface. 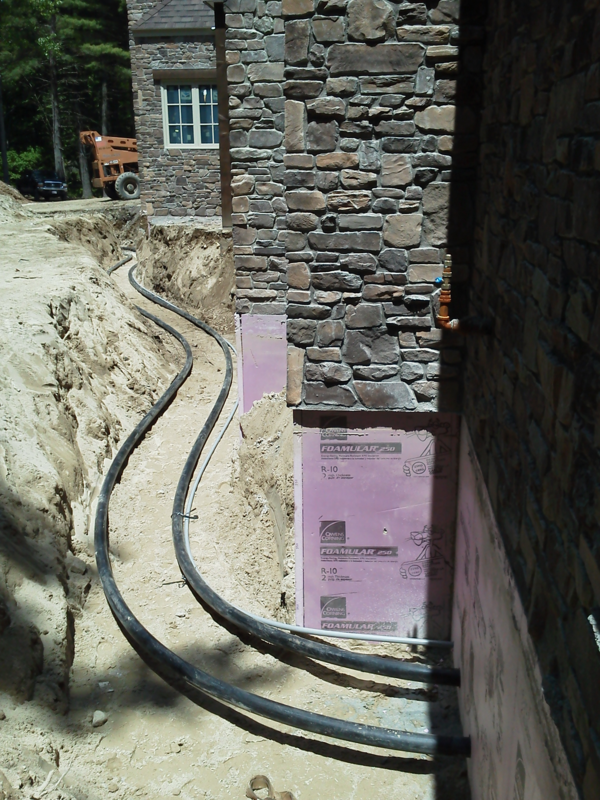 During the cold winter months the fluid utilizes the heat from the earth and carries it through the system and brings it into the building, in the summer this reverses by pulling the heat from the building carrying it through the system and placing it back into the ground. 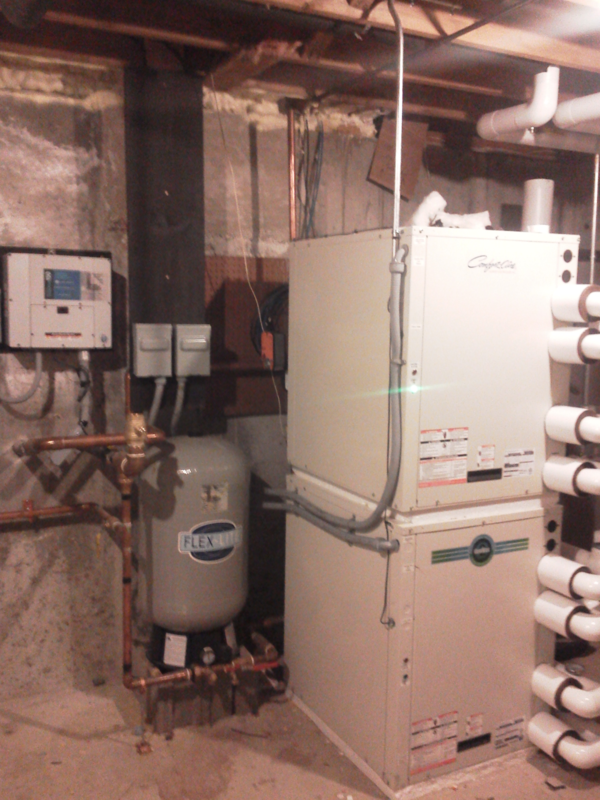 The added benefit of this process is free hot water in warmer months and significant savings in winter months. Open Loop System operates under the same principles as closed loop system except it operates on more of a pump and dump system. By this we mean there are 2 pipes in the well; one would be the pipe that brings water into the building and the other a discharge line. 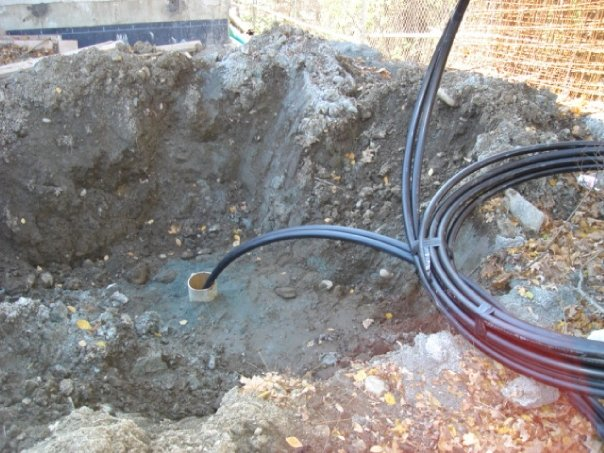 Open Loop systems typically have more footage within the well, which means less well locations. This design method is great for lots with space restrictions where multiple shallow wells cannot be achieved. In some cases existing old wells meet the criteria to be converted for GSHP use in conjunction with drinking water and/or irrigation use. 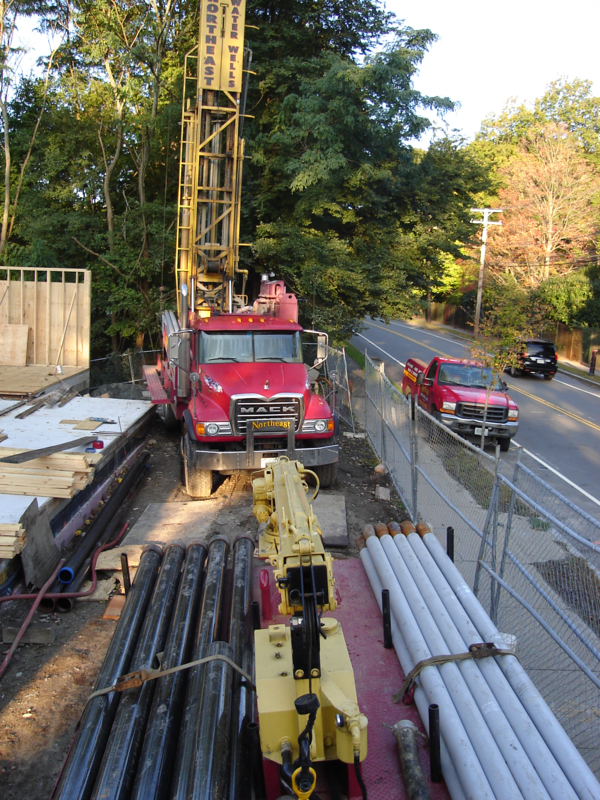 Northeast Water Wells has been working hand and hand with Geothermal HVAC Contractors for nearly 30 years. 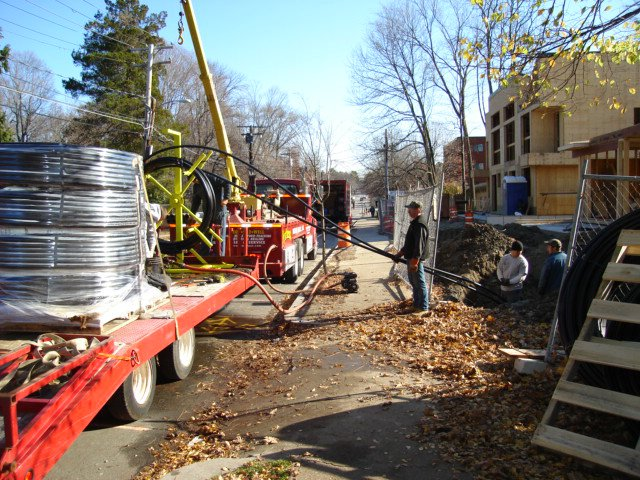 We were first approached in the early 80’s for an experimental green project in central, MA. Our first thoughts of a contractor who wanted to take water from the earth and convert it into energy seemed kind of puzzling although it was proven to us to be possible. Even though the technology was there many years prior to that is was the first time it was introduced to us. Although the systems installed in the early 80’s were not a great success and energy concerns were not much of an issue or highlighted issue at that time the volume of installations was minimal and continued to be minimal through to 2006. Since then the technology has greatly advanced making the systems more economical. Due to the environmental impact, and rising costs of most energy sources a large amount of contractors are re-exploring the ideas of being green. With the rising amount of engineers, installers, servicing companies the designs, maintenance, and overall operation are far superior to what they were 30+ years ago. 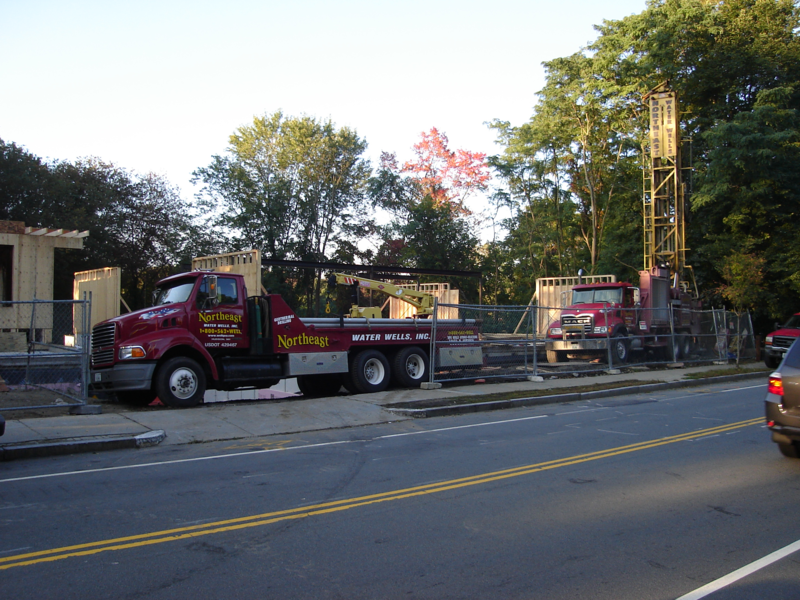 If you have any questions about our Well Drilling Services, please call us today!